Land Rover North Haven has a great selection of pre-owned vehicles. 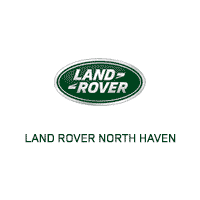 Whether you’re ready to purchase a pre-owned luxury vehicle or a new Land Rover SUV, need a quality car service center or help with auto financing, Land Rover North Haven is your go-to Connecticut dealership! Land Rover North Haven has all the latest models including, Land Rover Discovery Sport and the Range Rover Velar. We also carry a variety of pre-owned Land Rover and Range Rover vehicles for you to choose from. If you’re interested in loaning or leasing your vehicle from our Land Rover dealership near Chester, CT, we also have a Land Rover finance team who will find the right option for your lifestyle and your budget. Finally, if it’s time for your scheduled maintenance or repair, Land Rover North Haven has you covered. Our expert technicians can get you back on the road fast. We only use OEM car parts so you know you’re getting a reliable fix. Stop by Land Rover North Haven today! We’d love to meet you.